It may be a little past the time when everyone else was talking about it, but the Moving Pixels Podcast episode on The Walking Dead Season 2 episode 2 is now up on PopMatters. We look at the continuing struggles of the second season to truly provide the same type of morally dubious choices that so endeared us to the first season. At the same time I think we understand that isn’t as big a problem even if it doesn’t lead to as easily set up discussions. Clementine, on the other hand, gives a mountain of material as a main character and how that perspective changes the player’s abilities in the world. Episode 2 also is the first time the video game The Walking Dead gives us a real villain to contend with., the Micheal Madsen voiced Carver. It creates an interesting dynamic between the helpless little girl and threatening, violent monster Carver appears to be. 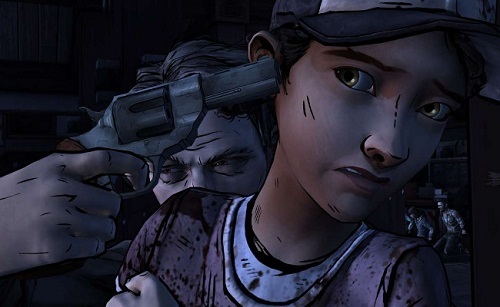 My one annoyance with this episode was my insistence on Clementine being 14, which I had read somewhere in a post that focused on that fact as something important to the second season. Goes to show how bad information can disseminate. Kind of wish I double checked before opening my mouth. Any, you can download the podcast here. I’m just about done with the RSS feed so everything should be on iTunes again soon.